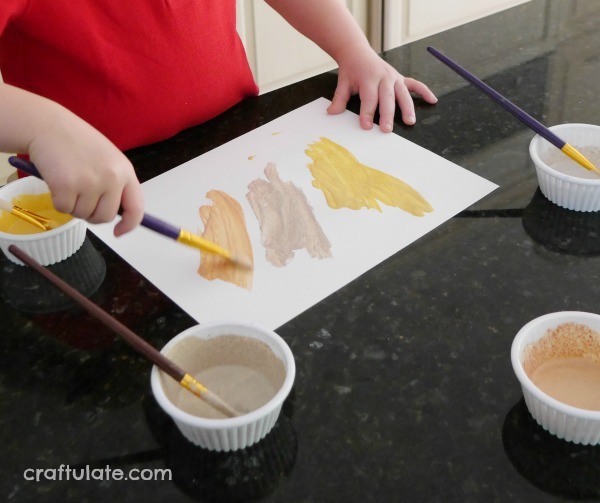 Spice Painting is a fun way to make some creative art – with a sensory twist! 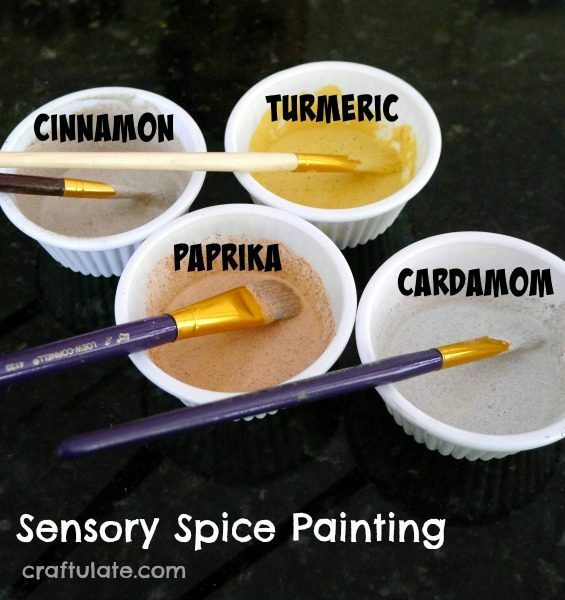 To make the spice paint we poured washable white paint into four small bowls, then added paprika, turmeric, cardamom and cinnamon. Depending on what you have in the pantry – any ground spice might be worth trying! The more spice you add, the deeper the colour. My son was very keen to be responsible for mixing all four varieties. The smell from the spices was fantastic! 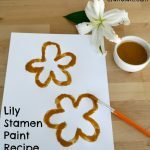 We both really enjoyed the specific smell of each spice when he used a particular paint. For some reason he decided to mix the cardamom with the turmeric, so I didn’t get a clear sample of each type. However, I just love the earthy tones of the different paints! Note: These spices can cause staining – especially the turmeric. Make sure your surface is protected if necessary. Oh and watch out for the kids’ clothes, too! If you like getting creative with spices then try making Herb and Spice Play Dough! We had a lot of fun with this! 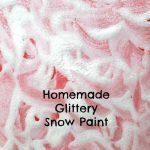 What paint did you use? I couldn’t get anything but the slightest tinge of color with mine. Also, a world of warning to those who younger kids who might get messy: my toddler broke out in hives 🙁 luckily they faded after a bath. I’m glad they enjoyed it but sorry about the hives!! Very faintly, yes, but it dulls over time after it has dried. Does the playdough stain their hands? Which play dough recipe do you mean? I did this with my preschoolers. I ended up having to add some colored paint because they all just turned various shades of gray, even with 1/3 to 1/2 a bottle of spices. They smelled delicious but not nearly as strong as I thought they would. Thanks for the great idea! Is there a no bake play dough recipe? I am a teacher and would like to do this with my students as a cooperative activity. 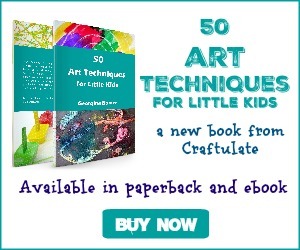 Pingback: 5 Process Art Projects That Your Kids Will Love Doing This Spring!